Having been hijacked, diluted and mistreated since the dawn of metalcore, melodic death metal could easily have lost its once potentially vast appeal by now. 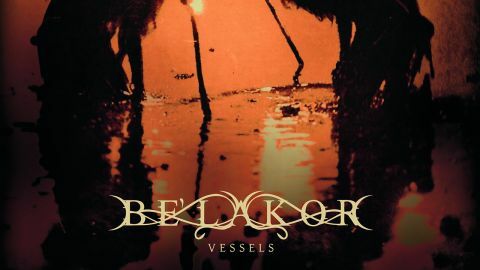 Fortunately, the subgenre has deftly maintained its unique allure, thanks largely to the efforts of bands like Australia’s Be’lakor. Vessels reawakens melo-death’s creative core, tethering that timeless blend of old-school catchiness and guttural gusto to bigger and better ideas. This is epic stuff, driven by mythological and pagan themes and owing more to the sky-scorching abandon of Moonsorrow and Insomnium than anything Gothenburg-flavoured. Something as strident and straightforward as Roots To Sever, echoing the dramatic, warlike thud of Amon Amarth, is fired by the quintet’s obvious passion for shoulder-barging their chosen style forward into new territory. The ongoing narrowing of modern metal’s sonic dimensions is not welcome here, as windswept melancholy and primitive rage are harnessed, given a few shots of adrenaline and launched into the stratosphere, sounding bold, grand and firmly in touch with extremity’s dark roots.